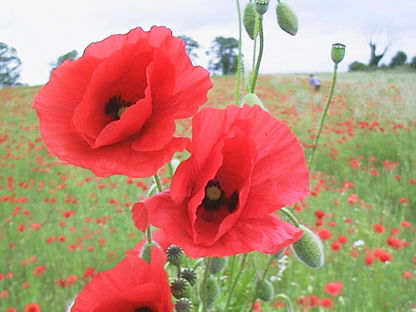 In the US and the UK (I'm a British-American, so you will excuse my schizophrenia), we have just observed Veterans' Day / Remembrance Day; held on 11 November in commemoration of the Armistice which ended the Great War on 11 November 1918. In the US, Veterans' Day strikes me as a day of patriotism and military pride; in the UK, the commemoration of Remembrance Day is much more sombre, as befitting a nation (and perhaps a continent) still trying to come to terms with the scale of the losses we suffered in what is generally regarded as a pointless First World War. For Americans, 1917-18 was a small war that happened a long time ago. For Britons of my generation, 1914-18 was the war in which all our Grandads fought (and died), on a scale that destroyed our old social order, radicalised our politics and unbalanced our demographics for generations to come. So in the UK, there is not much flag-waving on 11 November, but a lot of silence and reflection, in gratitude for those who survived, like my Grandad and great-uncles, and in sadness at the loss and unrealised potential of those, like Charlotte Wood's sons, who didn't. This Tuesday, November the 11th, the last hearing in the trial of myself and my four friends - Noam Bahat, Adam Maor, Haggai Matar and Matan Kaminer. We all have been sitting in prison and in detention for a year because we refuse to enlist in the army out of a conscientious objection to taking part in the Occupation. If convicted, we might be imprisoned for three additional years. One of the main hardships of refusing is that of departing from the consensus. Many people would make us feel that our refusal is illegitimate, that what we are doing harms society and does not benefit it. If they are right, and we are just five feeble-minded people performing an extreme and cheeky act that nobody supports, than it is quite possible that the Occupation will just go on. refusing to be occupiers, deserve is not three more years in prison. Am I wrong? Confident in the belief that Shimri Tzameret is not wrong, I am remembering this year not only those who died, and those who survived, but above all those who have the courage to refuse.